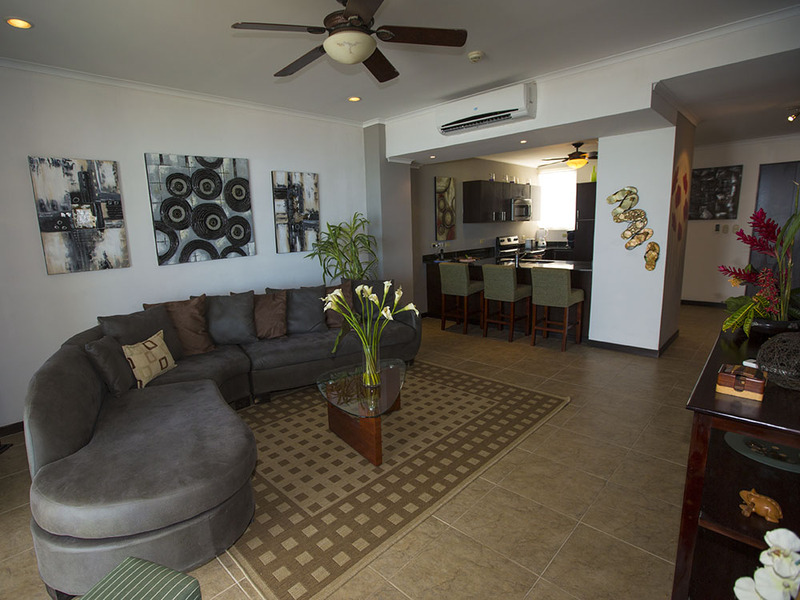 The Palms at Jaco Beach is for luxurious living on the beach with modernized designs of its 2 spacious bedrooms and 2 baths, kitchen & living room. This spacious 1,485 sq ft± luxury condo provides enough room for tranquility and privacy while maximizing enjoyment. 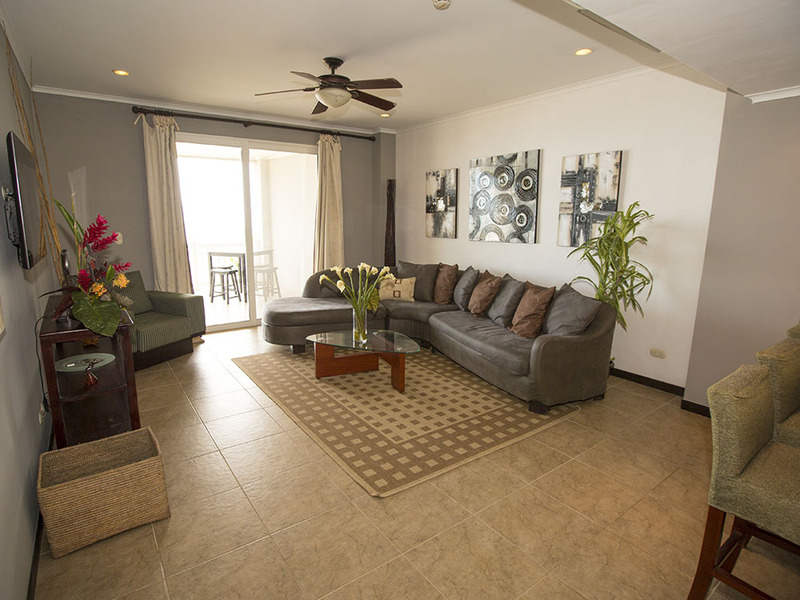 This 6th floor condo features panoramic beach views with some of the most breathtaking sunrises and sunsets. Only steps away from the Pacific Ocean and a quick walk from town, this property offers resort-style living with all the comforts of home. An Albert Burney representative will be available: Condo – Oct 7th, 8th, 9th and 12th & 13th between 10:00 AM to 3:00 PM. Home – Oct 10th, 11th, and 13th between 10:00 AM to 3:00 PM. : For more information call (256) 543-1654. Registration begins at 1:00 P.M. on Auction Day. Auction begins at 2:00 P.M. Ten percent (10%) down Auction Day with closing on for before November 14, 2017. Certified funds in the amount of $25,000.00 will be required to bid. The certified funds may be in the form of a Cashier’s Check made payable to the bidder, or a personal or company check with a Bank Letter. This 6th floor condo at The Palms, features upgrades throughout including marble floors, imported kitchens with quartz counter tops, high end appliances, and many more fine details. 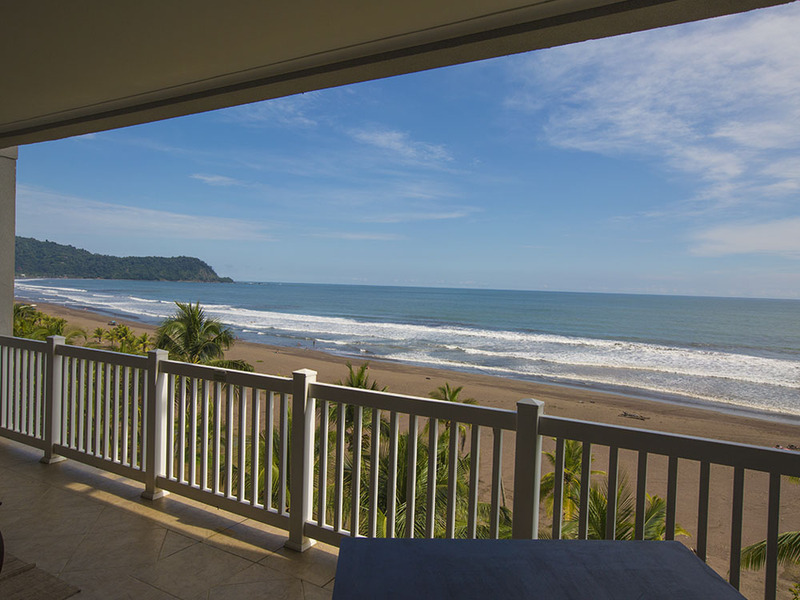 However, the entire beach view is irreplaceable with the pacific right in front while the flowing Quebrada Bonita river and lush mountain flank the view to the right. 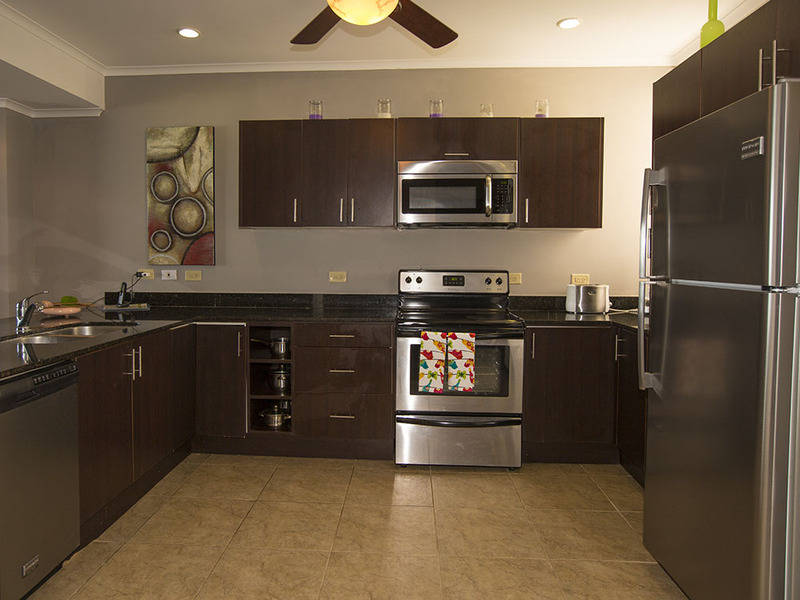 The 1,485 sq ft condo has 2 bedrooms, 2 bathrooms, and a fully equipped kitchen. 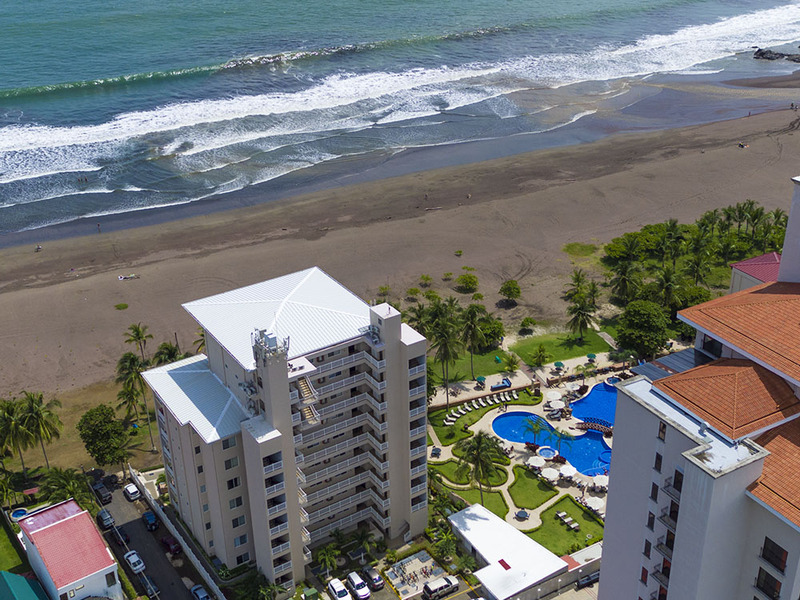 Plus, a fully furnished balcony overlooking the Pacific Ocean for even more lounging space. Just minutes from downtown Jaco’s abundant shops and restaurants, Playa Hermosa’s world class surfing, the country’s national park Manuel Antonio, and so much more. This condo’s location offers endless adventures and activities. 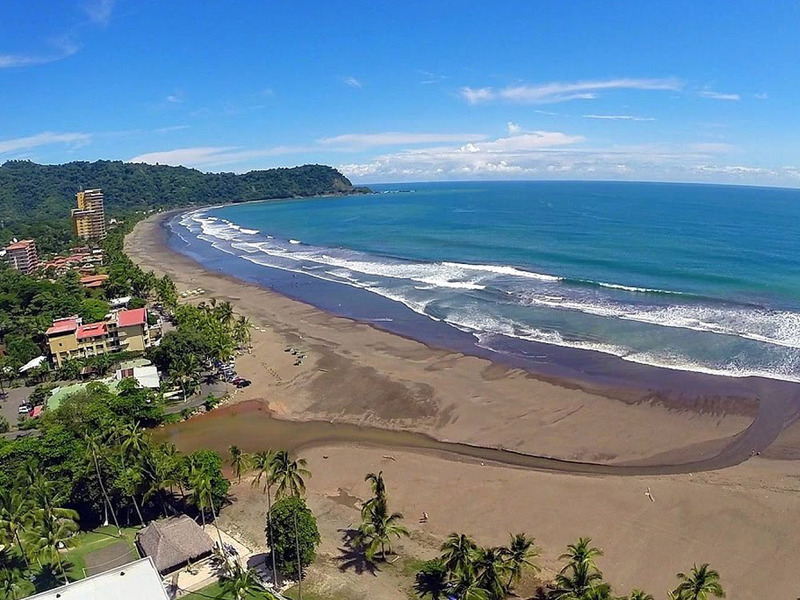 Click here to view Trip Advisor’s Top Things to Do in Puntarenas Province. The Palms is very easy to find. 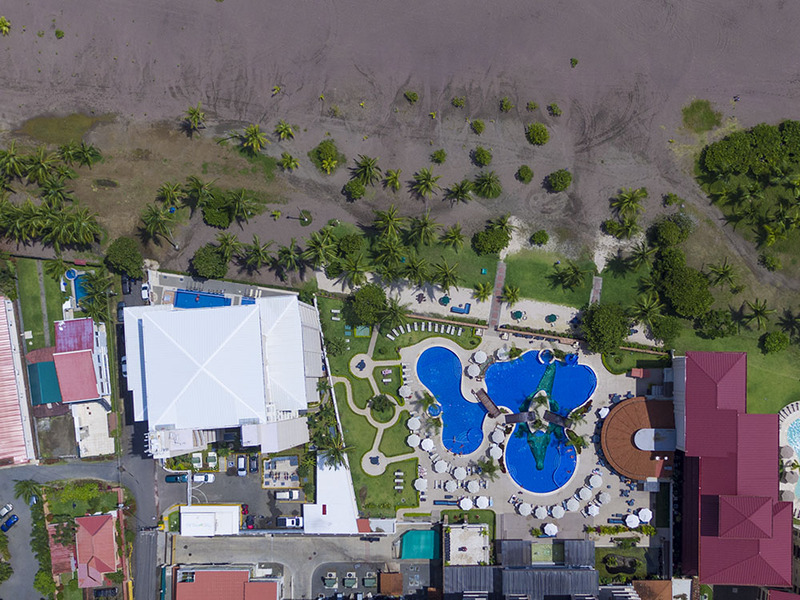 It is located between the newly established Croc’s Casino and Resort, and Playa Jaco. Units in the Palms have exclusive access to enjoy many of the amenities offered at the Croc’s Resort including its water wonderland of swimming pools, restaurants, spa, & gym. Of course The Palms has it’s own pools too. 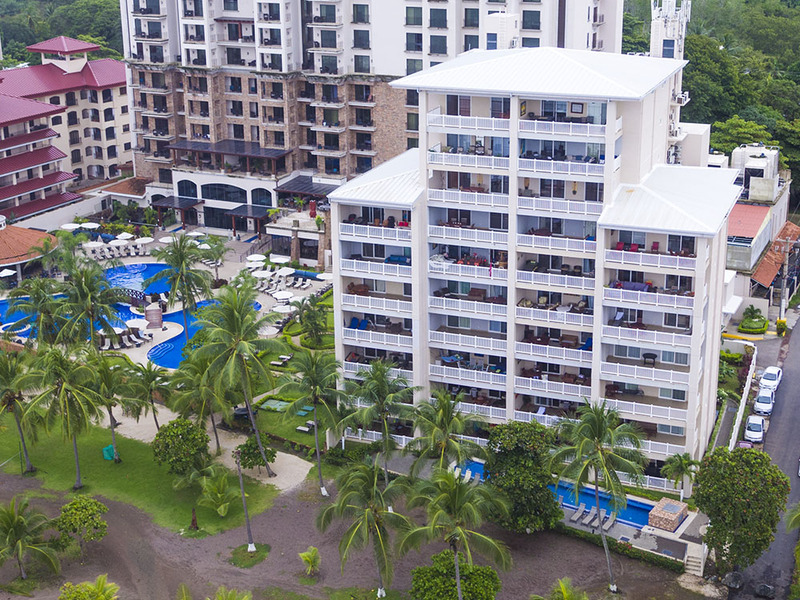 The Palms, is a 34 unit luxury condominium complex situated at the north end of Jaco Beach, Costa Rica. 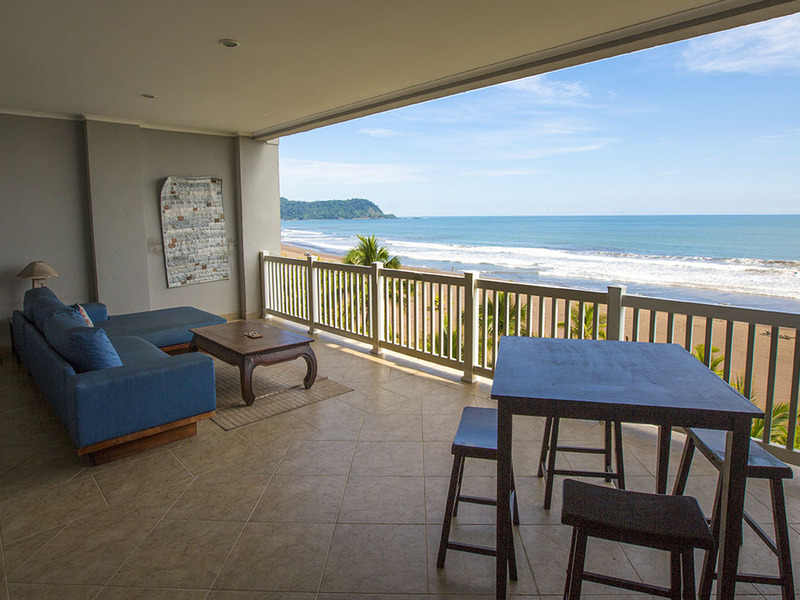 Modern architecture and expansive ocean views make this one of the favorite beachfront communities in Costa Rica. Direct beachfront. 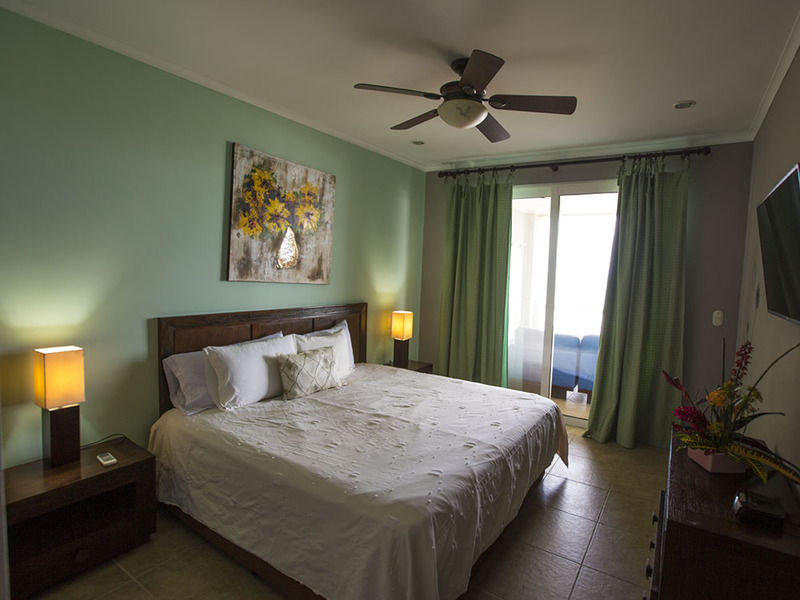 Condos include 24/7 security, wifi, onsite property management, and common area pools. Units in the Palms have exclusive access to enjoy many of the amenities offered at the Croc’s Resort including its water wonderland of swimming pools, restaurants, spa, & gym. Of course The Palms has it’s own pools too. HOA is $740 for 2 Bedrooms, $825 for 3 Bedrooms. HOA includes, cable tv, internet, water, insurance, security, property management, common area maintenance. Annual property taxes are only $800-1400 for these condos. Property management is available and will typically cover all of an owners annual expenses with the rental income they generate. More aggressive owners are netting $15-25,000 after expenses. DISCLAIMER: All information is taken from sources believed reliable; however, no guarantee is made by the Auction Company, Broker, or Seller. The seller has the right to withdraw the property, delay or cancel the auction, or sell the property prior to auction. Buyers should satisfy themselves as to any inspections prior to bidding. Any announcements made the day of the auction supersede all advertising. FURNITURE: All furniture that is present on auction day will be apart of the bid price, with the exception of all clearly marked items. All measurements, boundaries, & square footage have been received by 3rd party resources.